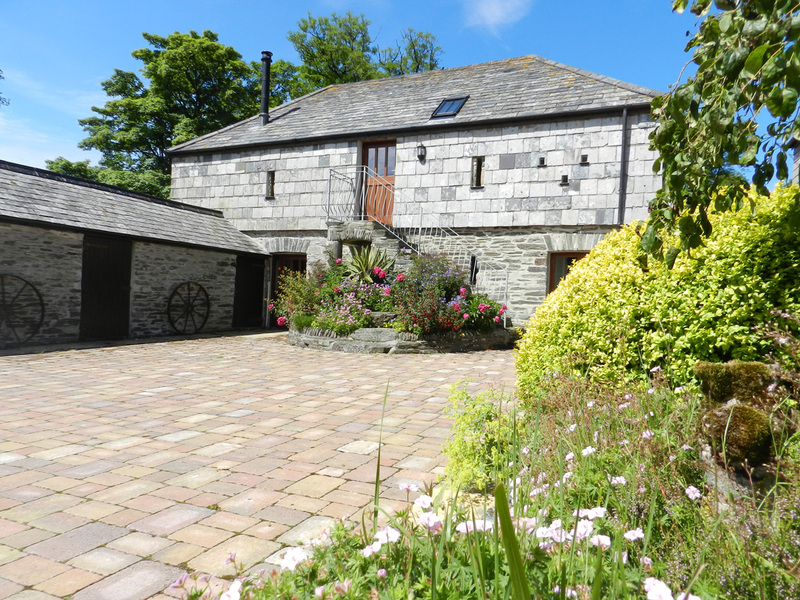 Whether you are a couple looking for a romantic getaway, a family or group of friends, you’ll be able to find the right self catering accommodation to suit you, from traditional Cornish holiday cottages full of character to comfortable log cabins and Scandinavian-style lodges with wonderful views. 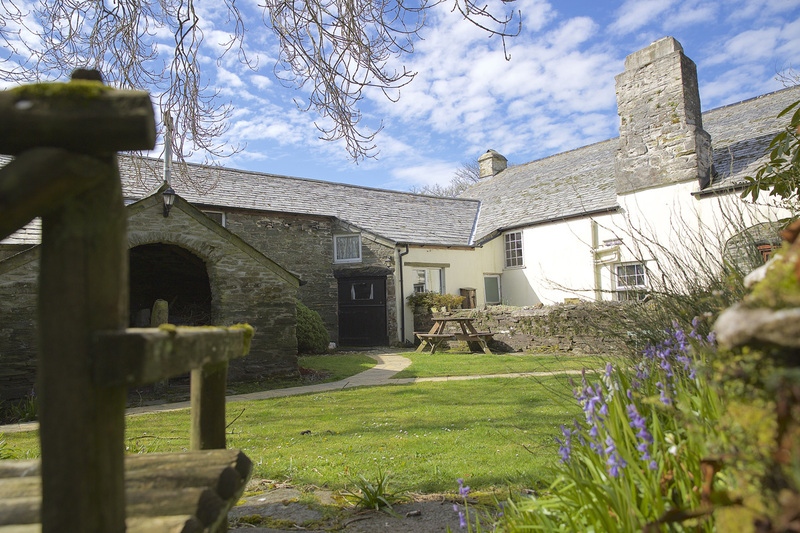 Ta Mill House offers luxury 4 star accommodation with many original features of times past. The house has four large bedroooms with en-suite shower rooms plus a separate bathroom downstairs. The Forge is a beautifully converted circa 17th century barn, which was once undoubtedly a place for storing sacks of grain when the Watermill was fully employed. 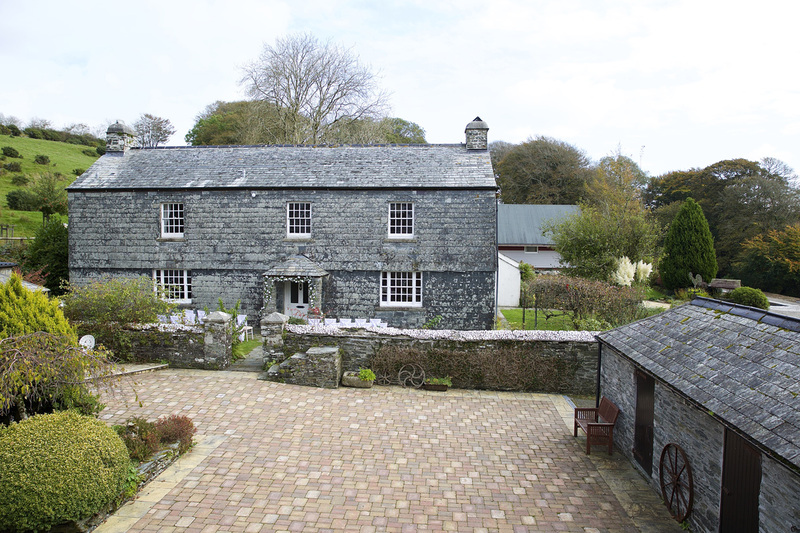 Dairy cottage was the ‘shippon’ at Ta Mill in times past and has been lovingly converted to offer beautiful modern accommodation whilst retaining exposed stone, beams and original windows. 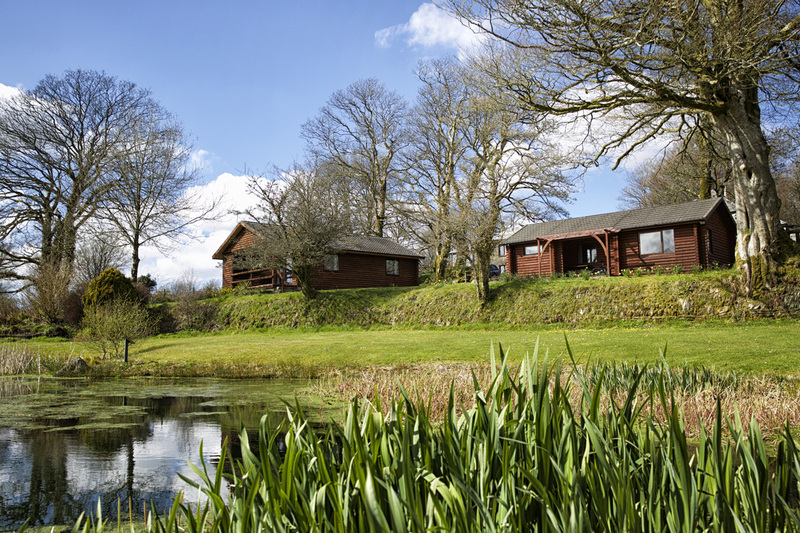 Stay in our beautiful detached two bedroomed lodges with sunny south facing verandas offering spectacular views overlooking the wildlife pond. Meadowview has the best views on site, looking across the valley from south facing balconies. Enjoy the stunning views from a virtually private veranda. 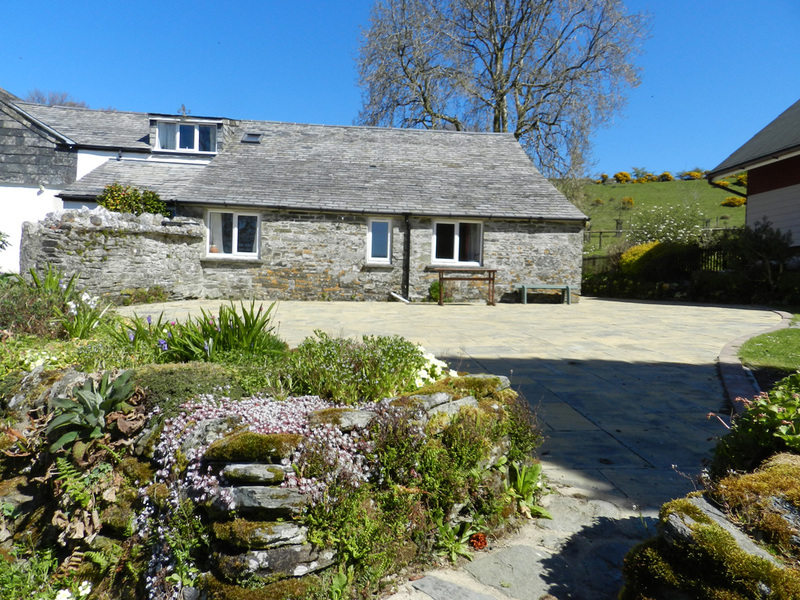 Millers cottage is a charming two storey stone and slate Cornish cottage. Completely stripped and re-built to a very high standard, providing modern comfort whilst retaining many original features. Stone and granite steps lead to this first floor stone and slate accommodation. It is fully equipped with modern luxuries and furnished to a high standard. 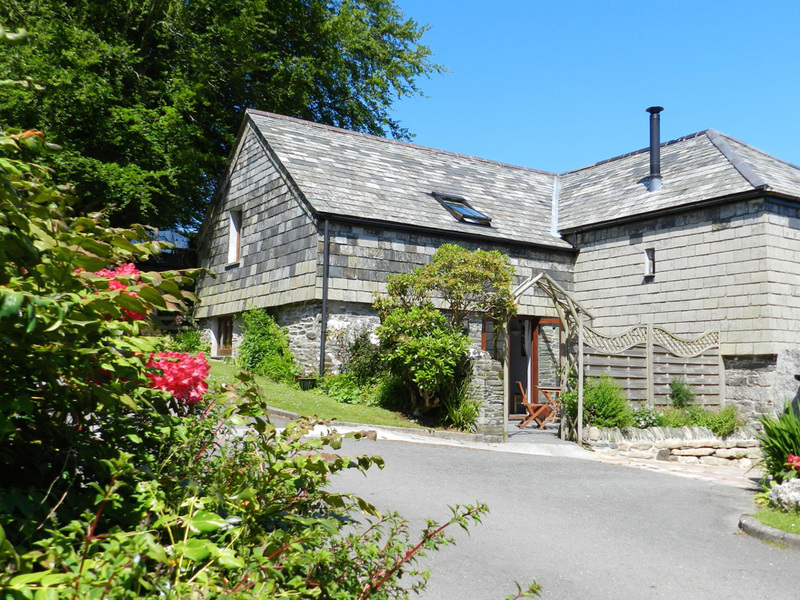 Olde Granary Cottage is a single storey stone and slate barn which has been refurbished to provide modern day comforts whilst still retaining many original features, with exposed beams throughout. 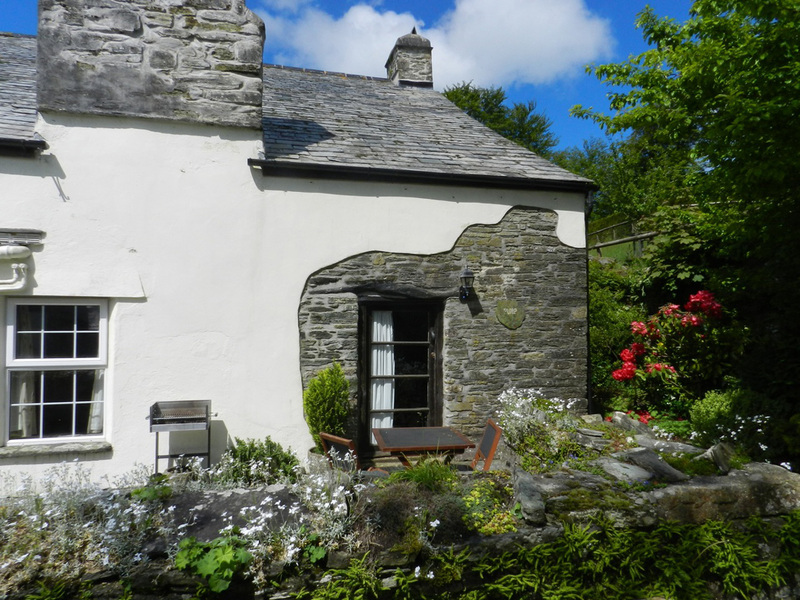 This cottage hosts the original farmhouse kitchen fireplace with the remnants of the oven in the inglenook recess. A woodburner sits on the slate hearth and warms the cottage on cold nights. 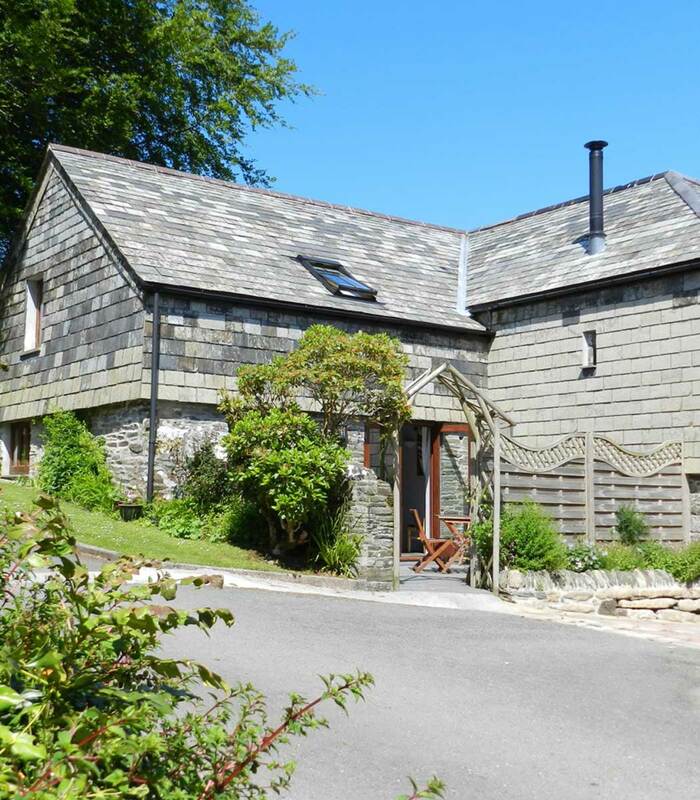 This cosy cottage is perfect for a romantic break. The living room window looks out onto the sloping gardens which lead to the pond. 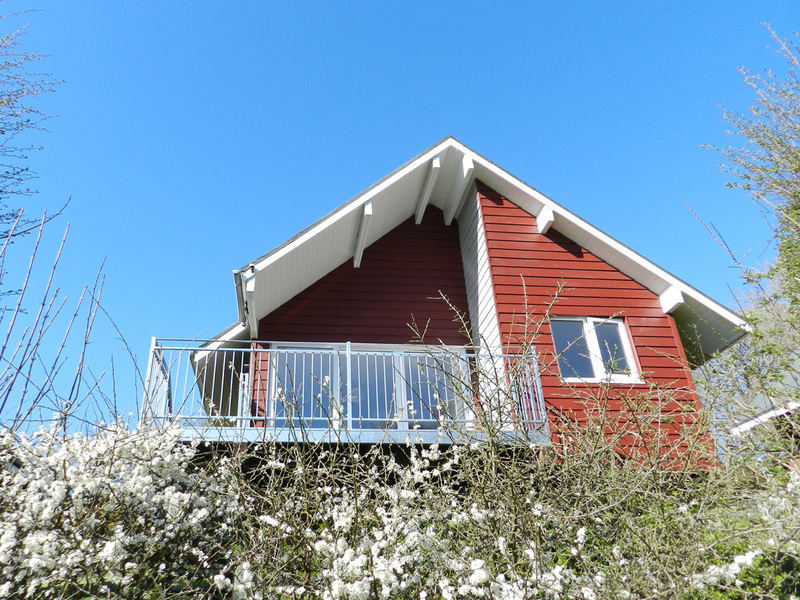 Smithy cottage is all on one level, allowing easy access. Just had our 3rd visit to Ta Mill as we love it so much; we stayed in Pump Cottage and it was just as amazing as ever, so clean and tidy with everything you need for your stay. Helen was so friendly and helpful again and nothing is to much trouble for her. 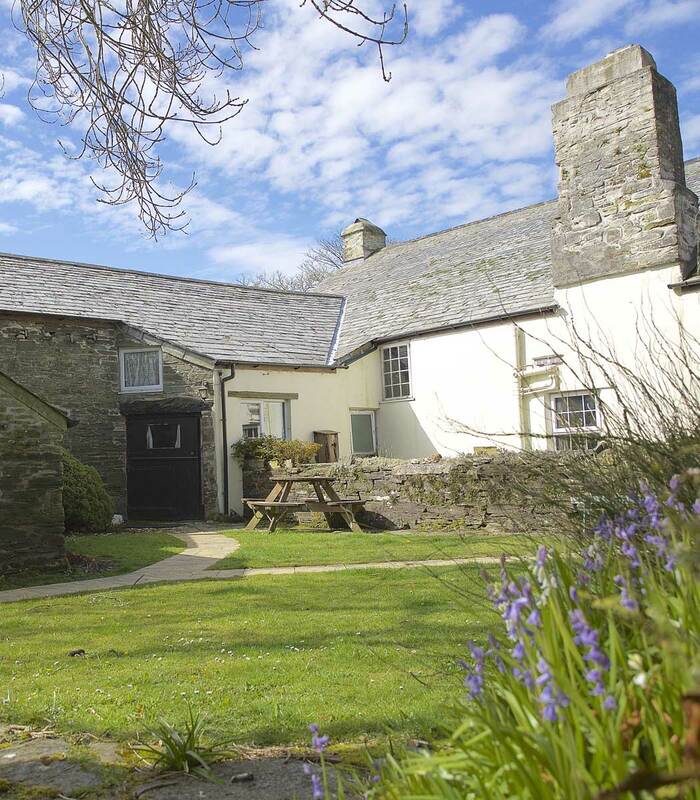 Ta Mill House offers luxury 4 star accommodation with many original features of times past. 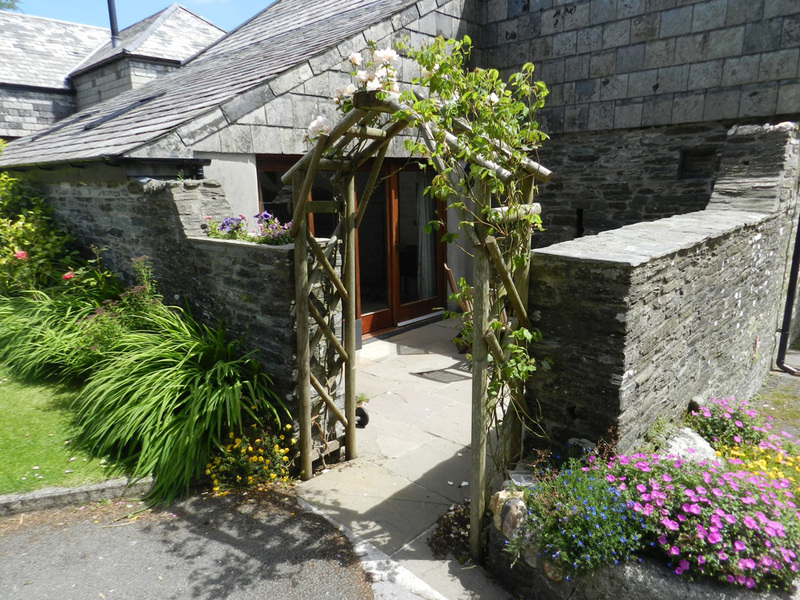 The stone and slate house has four large bedroooms with en-suite shower rooms plus a separate bathroom downstairs. Visitors can enjoy the large lounge with leather sofas providing comfortable seating for nine with its cosy woodburner. The Forge is a beautifully converted circa 17th century barn, which was once undoubtedly a place for storing sacks of grain when the Watermill was fully employed. 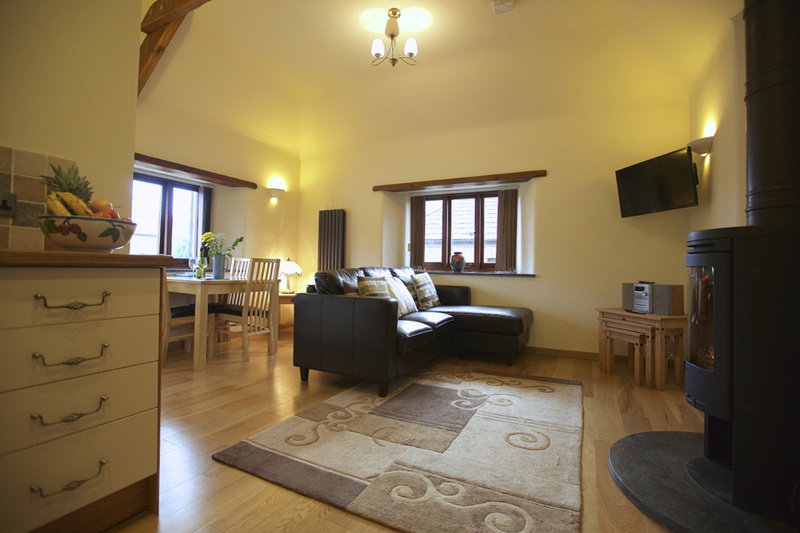 Stay in one of the most authentic properties with cob filled walls, exposed beams throughout and a magnificent stable doorway. 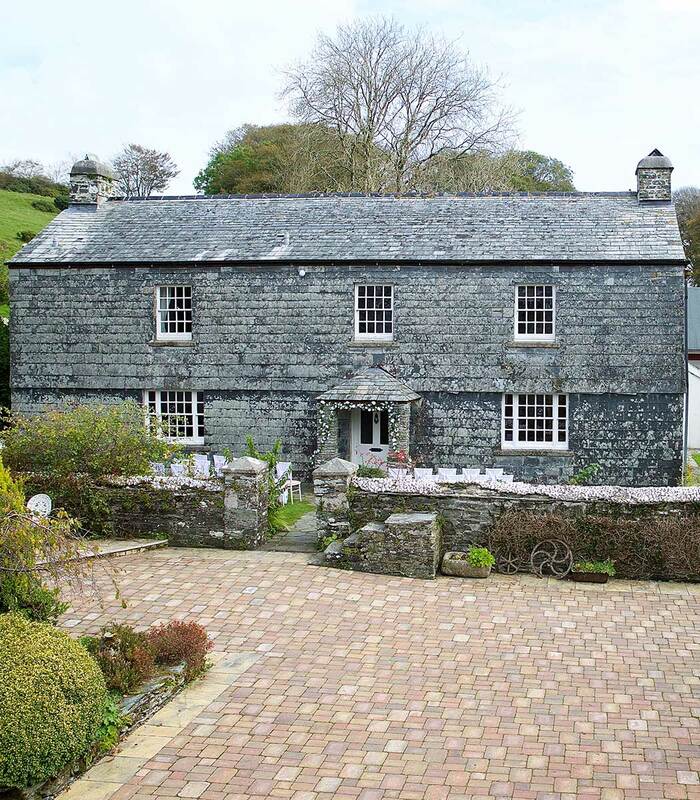 Dairy cottage was the ‘shippon’ at Ta Mill in times past and has been lovingly converted to offer beautiful modern accommodation whilst retaining exposed stone, beams and original arrow slot windows. Your feet will stay warm on the stone tiled flooring with underfloor heating. 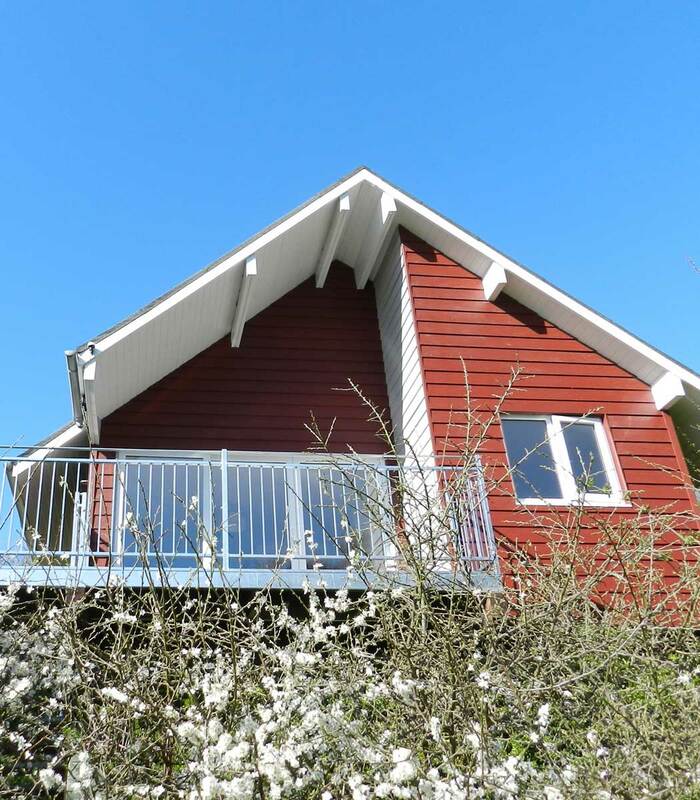 Stay in our beautiful detached two bedroomed lodges with sunny south facing verandas offering spectacular views overlooking the wildlife pond with the resident moorhen and mallard ducks. If you are lucky you may also spot the myriad of other birds that regularly visit including kingfishers, herons and swallows. An ideal spot for the bird spotter! 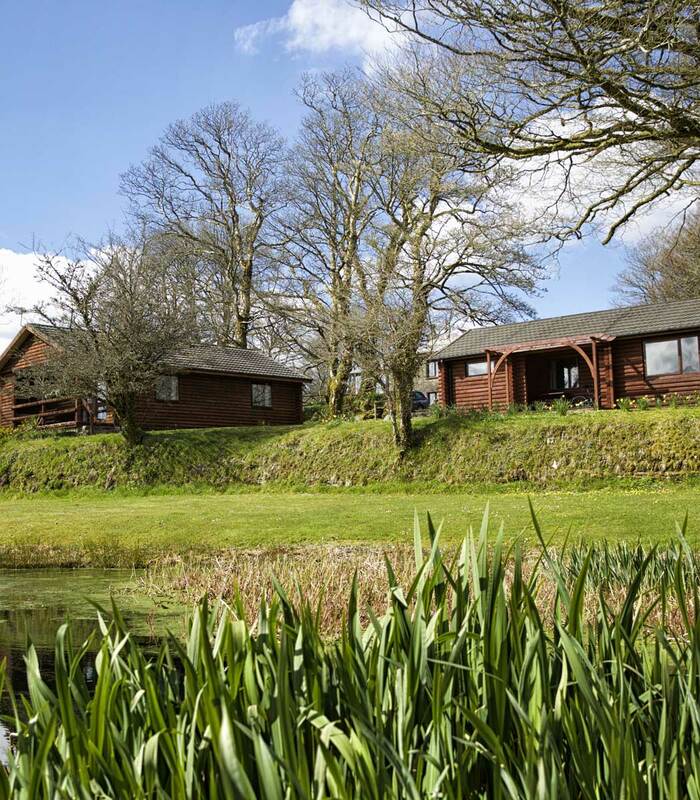 These lodges probably have the best views on site, looking across the valley from south facing balconies. Enjoy the stunning valley views from a virtually private, elevated south facing veranda. Quality shaker style kitchens and leather corner sofas provide a comfortable space in the triple aspect living room. 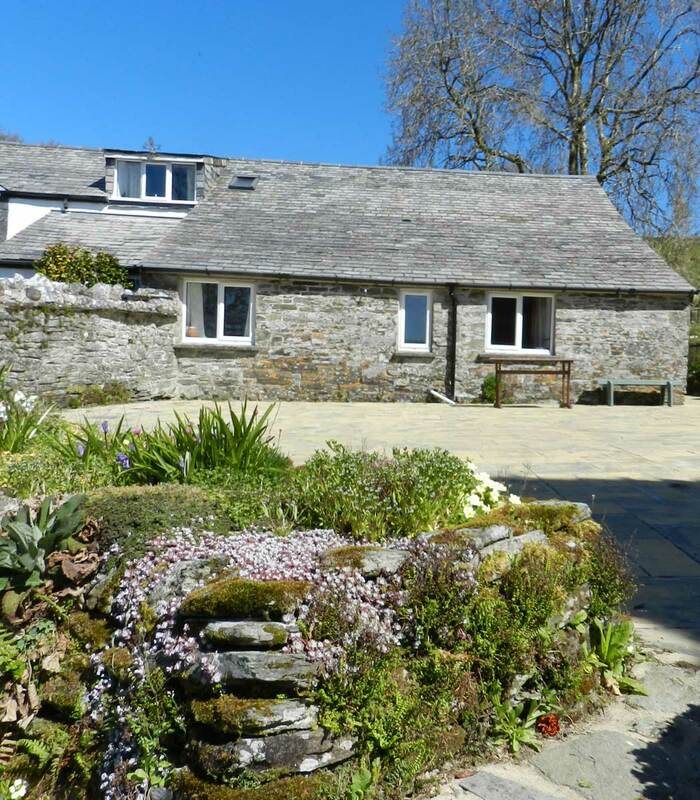 Millers cottage is a charming two storey stone and slate Cornish cottage. Completely stripped and re-built to a very high standard, providing modern comfort whilst retaining many original featuresHardwood french doors open onto a sunny, sheltered, slate patio – a real suntrap. 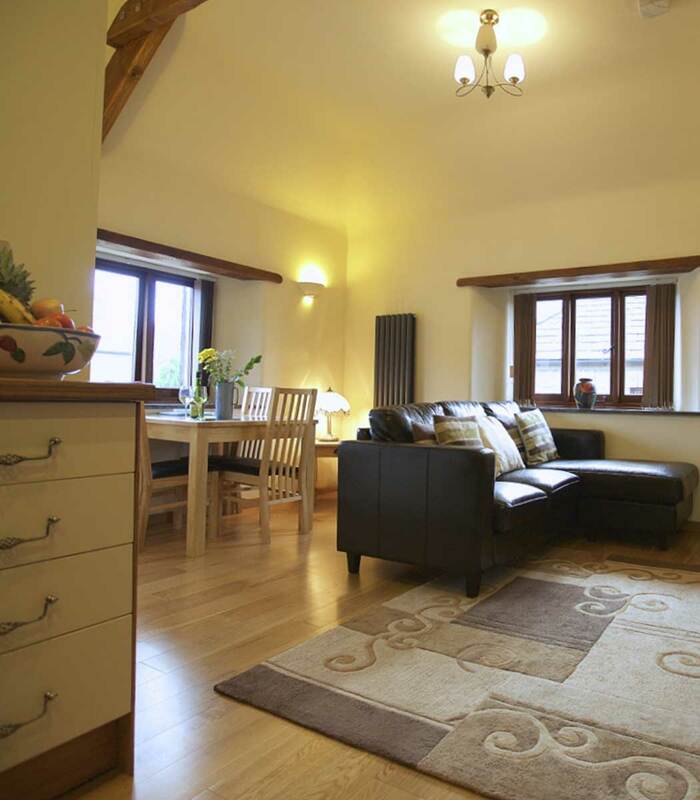 Inside, be delighted at a spacious beamed living room with slate flooring and underfloor heating to warm your toes. Stone and granite steps lead to this first floor stone and slate accommodation. It is fully equipped with modern luxuries and furnished to a high standard. Roof lights bring sunshine all day long into the spacious living room and you can enjoy the wonderful views across the valley on the south facing veranda through French doors. 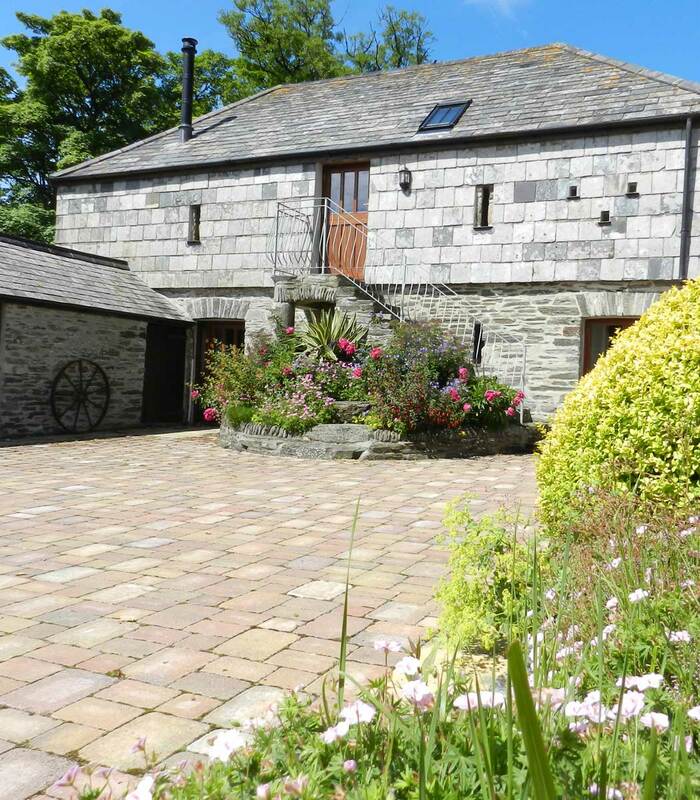 Olde Granary Cottage is a single storey stone and slate barn which has been refurbished to provide modern day comforts alongside many authentic features, retaining many original features with exposed beams throughout. The lofty ceilings are framed by the wooden beams and sunlight flickers through the original arrow slot window in the living room. This Olde Worlde cottage hosts the original farmhouse kitchen fireplace with the remnants of the clome oven in the huge inglenook recess. A woodburner sits majestically on the slate hearth and warms the cottage on a cool winters night. The exposed beams of the living area compliment the stone chimney which dominates the room. 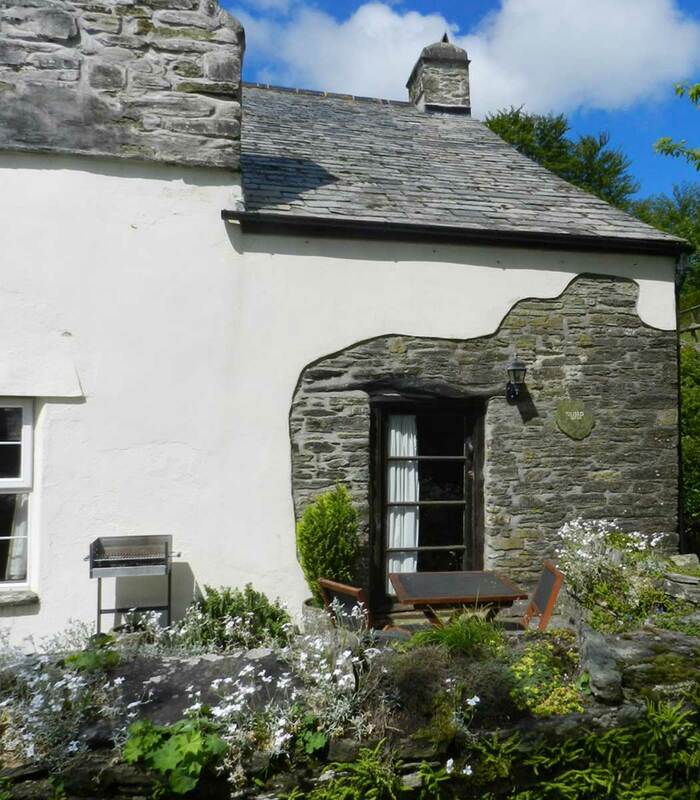 This cosy stone and slate cottage is a peaceful hideaway, perfect for a romantic break. The living room window looks out onto the pretty stone wall adorned with summer flowers beyond which you can see the sloping gardens which lead to the pond. 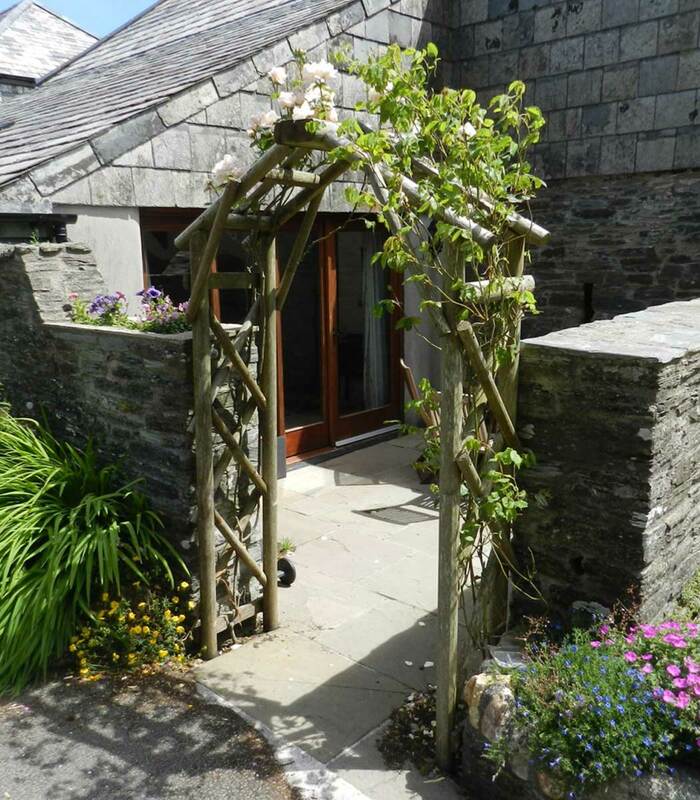 All on one level, with a low step in shower, the Smithy cottage offers easy access.